Claims that 60,000 people showed up to the first night of the Santa Monica Pier Concert series were greatly overstated, according to an independent tally released by Pier officials Thursday. Digital Design & Imaging Services, one of the firms that the Pier Corporation, the nonprofit that governs the landmark Santa Monica Pier, works with to keep track of the crowds said the number was actually closer to 25,000, contradicting initial claims by Khalid, the performer from last Thursday’s concert, and others. “[T]he artist, Khalid, in his excitement after the show, tweeted that ‘around 60,000 people came out to see me in Santa Monica.’ That number took on a life of its own and was reported by multiple media outlets and the Santa Monica police,” according to a press release put out by Pier officials yesterday. After the concert last Thursday, Santa Monica officials — including the chief of police, who is retiring later this year — expressed alarm at the size of the crowd the concert drew. Chief Jacqueline Seabrooks called it “irresponsible” in the local media, claiming in the interview that the crowd had reached 50,000 people. While the crowd may not have reached 60,000 people, it was a visibly large crowd and authorities reported feeling overwhelmed by the numbers. Part of the issue, according to reports, was that the artist Khalid had experienced a major spike in popularity since the time he was booked several months ago and last Thursday’s performance. The press release also noted that last night’s concert — the second of the series — was notably calmer and drew significantly fewer people. “After some controversy about size of last week’s Twilight Concert crowd we’re happy to report that the 2nd event of the season went smoothly with a mellow crowd having a terrific time,” officials said. 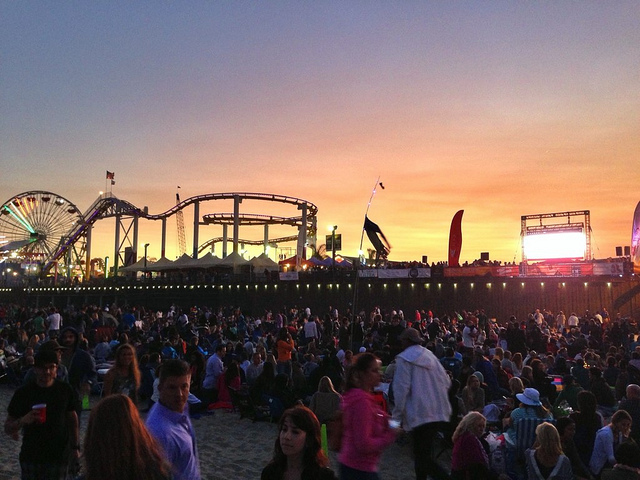 In recent months, the future of the Twilight Pier Concert series, which has been a summer tradition in Santa Monica for more than three decades, has been uncertain. 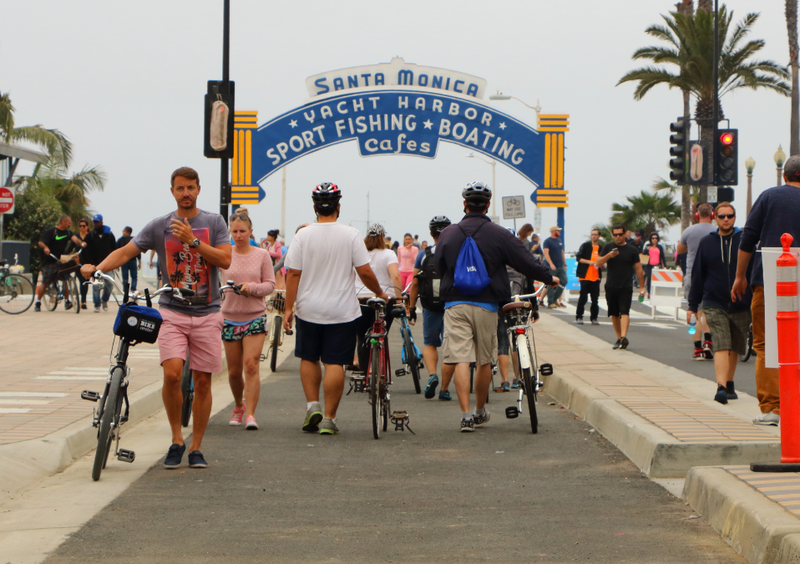 In an effort to keep costs down, the organizers of the event agreed to a shorter series — reducing the number of concerts from 10 to eight — and to skip the Thursday of the week of the Fourth of July, usually a busy week for Santa Monica. In January, the Pier Board met to discuss what could be done in the future to address concerns about rising costs of policing the event after 2016 saw larger-than-usual crowds. “Last year was an anomaly,” Pier Boardmember Chris Foster said at the January meeting.He argued that the PokemonGo craze, which brought throngs of people to the Pier to play the augmented-reality smartphone game, and the opening of the Expo line contributed to unusually large crowds in the area. “I don’t feel 2016 is a good year to make any rational decisions on how the concerts are going to move forward,” he said at the January meeting. Police and fire have been providing enough personnel for about 30,000 people, which has caused the cost of the concerts to increase significantly, but a recent study presented to the Pier Board said that the number of people attending the concerts is more often closer to 8,000 to 10,000. From 2013 to 2016, the cost for public safety personnel went up from about $50,000 for the whole series to nearly $1 million. In that same time period, according to a report compiled by Farrand and presented to the Board at the January meeting, attendance has increased by about 25 percent. To address other concerns, the city has launched a public information campaign encouraging concert goers to get to the concerts by means other than driving. The arrival of Expo last year and proliferation of public bike share stations throughout the city, as well as the numerous buses that service the area immediately near the Pier, give concerts goers plenty of options. The city has also been making a public information push to remind concert goers to keep the beach clean. The Pier concert series this year will be skipping July 6. The next concert will be on July 13 and will feature reggae artists Marcia Griffiths and Jah9.